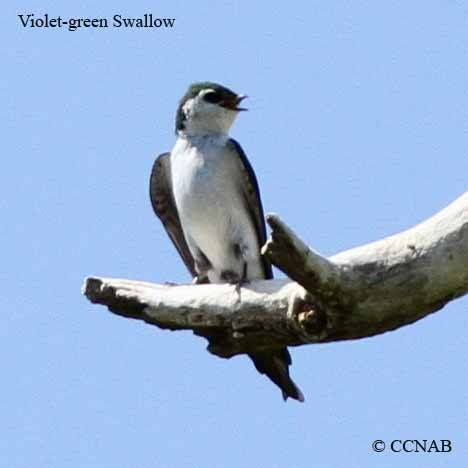 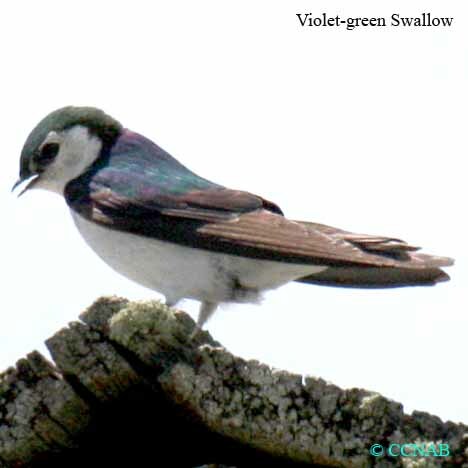 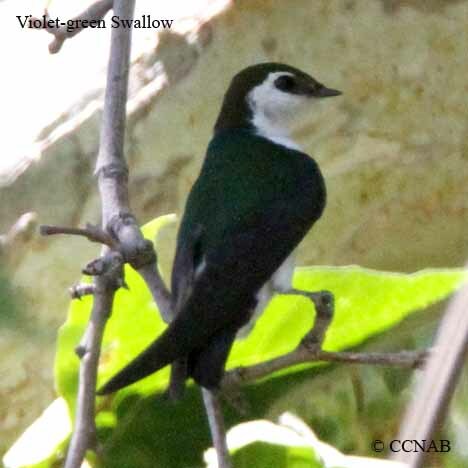 The Violet-green Swallow resembles the Tree Swallow in some ways. 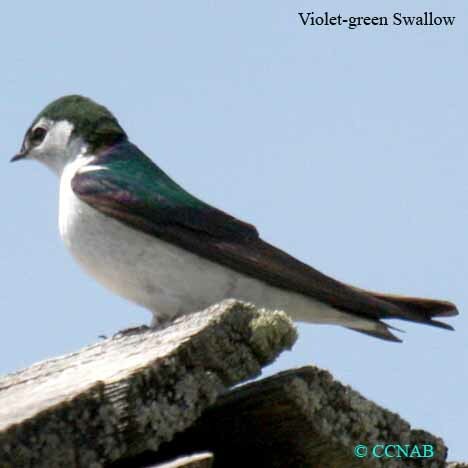 This green-coloured bird will nest in man-made bird houses and around older structures. 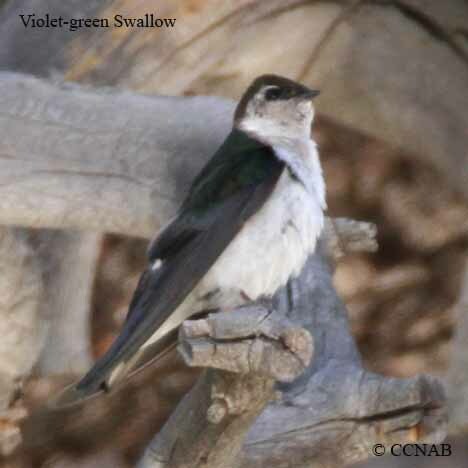 These swallows are seen in the western regions of North America, from Alaska in the summer months, right into southern Mexico.